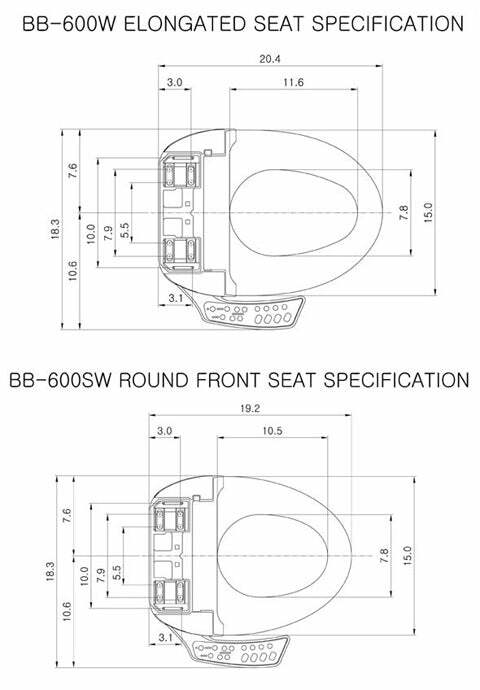 Consumers interested in a dual nozzle bidet will enjoy the value of the Bio Bidet BB-600 bidet toilet seat. This is an affordable product that has many of the same features you will find on the higher priced products. This bidet is also very well made, and that makes it a great investment that will last for a long time. The built in power saving feature of the Bio Bidet BB-600 bidet ensures that adding it to the bathroom in your home isn't going to be a huge expense. Not only is the product reasonably priced, but the features ensure that you aren't paying tons of money each month for electricity to operate it. There is a body sensor within the Bio Bidet BB-600 bidet. This picks up on the presence of someone that is going to use the toilet. As a result, the nozzles are moved forward and the control panel will light up. 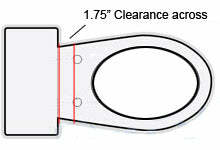 After cleansing, the consumer can choose from one of three dryer settings. Even though this is an entry level bidet, it can stand up to those that are more advanced. There is never a chance of it running out of warm water. The Bio Bidet BB-600 has a huge reservoir and holds more than enough water to give you the time you need to get clean after using the toilet. While this bidet is powerful enough to get you cleaned and dried, it is also very soothing. It is a way to pamper yourself. It is a great option for those that have limiting mobility or that have some health concerns. It can also be used by children. The easy to access control panel is located on the right hand side of the bidet. The buttons are well marked so that they can be accessed and used as the consumer would like to. Being able to customize the water pressure, water temperature, and even the location of the nozzles is important. 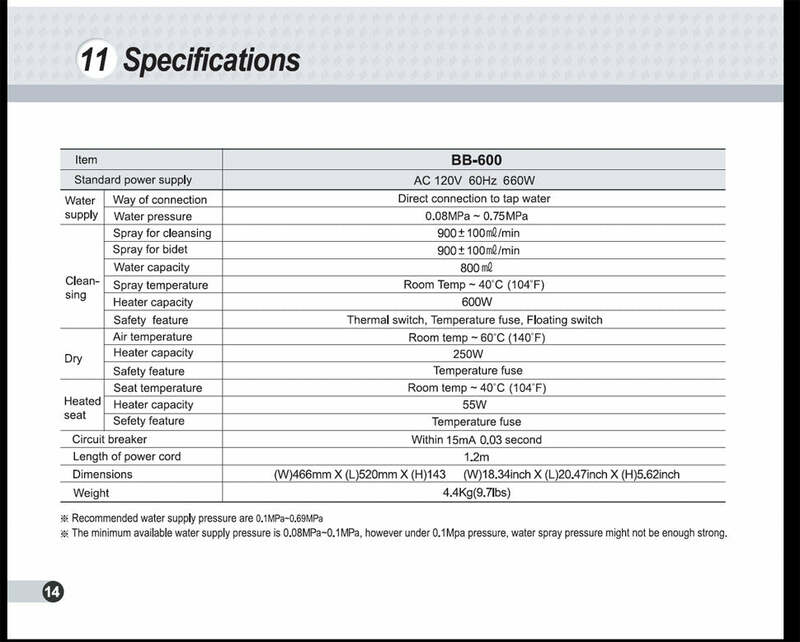 The Bio Bidet BB-600 fits almost all one and two piece toilets. The one exception is toilets similar to the below design.